Shelter Logic has produced a portable homestead barn garage. The fitted cover is made of a single piece of 9-ounce, heat-bonded, triple-layered polyethylene for strength and endurance. It has been treated inside and out with fade blockers, and anti-aging and anti-fungal agents. 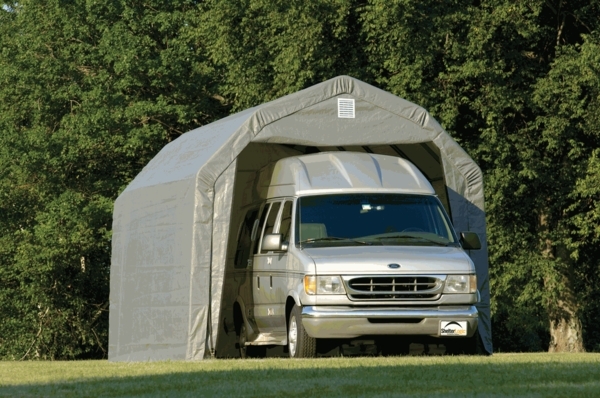 Totally waterproof and tear-resistance the grey canopy features a white interior lining for improved illumination. Barn-style 6-rib framework is made of 2-inch diameter steel with bonded DuPont baked on powder-coat finish that won't rust, chip, weather or peel. The door measures 9-feet tall and 7-ft., 6 inches wide at the top and 9 feet, 10 inches wide at the bottom giving you ample access for your equipment or vehicles. This portable garage comes with step by step instruction for set-up and a 1-year warranty. 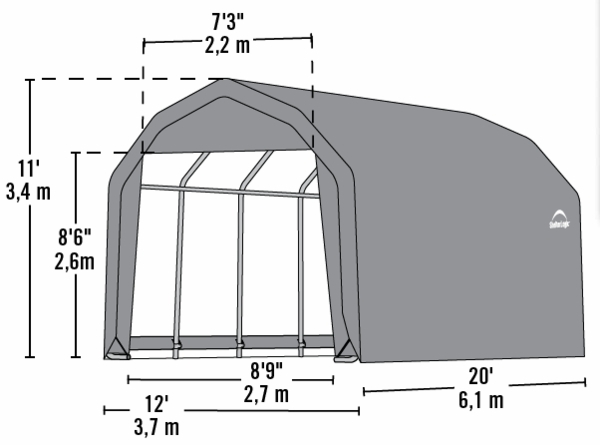 Do I need to buy anything else to safely install the 12 x 20 x 11 ShelterLogic Canopy? This a complete kit including all you need for an installation.